Three weeks ago, a federal district court in Texas issued an important ESA decision. The Aransas Project v. Shaw also is a very long decision—124 pages, to be exact—so I’ve been a bit slow to get a blog post up. Despite its daunting length, the case is important reading for anyone interested in water management or the ESA. It’s also a rather intriguing case study of the use—both successful and badly botched—of expert testimony in environmental litigation. The case arises out of water management controversies in Texas. 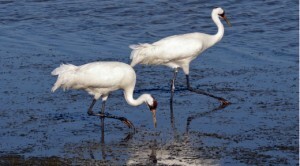 According to the plaintiffs, the Texas Commission on Environmental Quality and its fellow defendants had taken whooping cranes in violation of section 9 of the Endangered Species Act. They had done this, the plaintiffs argued, by allowing excessive water withdrawals from the river systems that feed into the Aransas National Wildlife Refuge, which provides vital whooping crane habitat. The court agreed, enjoined the issuance of new water permits, and ordered the defendants to prepare a habitat conservation plan and seek an incidental take permit. The extraordinary level of data available to the plaintiffs in this case. Reading the opinion made me wonder if these whooping cranes are one of the most carefully observed wild animal populations on earth. As the court describes, scientists have been counting whooping cranes since the 1950s. Since the early 1980s, scientists—including one of the plaintiffs’ experts—have conducted dozens of monitoring flights every year. The resulting level of information is exceptional. Usually population biologists must rely on some combination of observational data (usually limited), proxy indicators like habitat conditions, and computer-based modeling to assess the status of a population. The resulting uncertainties can limit plaintiffs’ ability to demonstrate causal relationships with enough certainty to support a successful ESA section 9 claim. 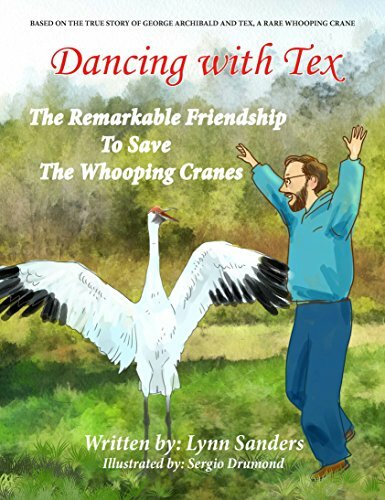 With whooping cranes, the circumstances are quite different. At trial, TAP presented seventeen witnesses, ten of whom were experts, GBRA eight; SARA one: and TCEQ two. As will be discussed in more detail later, TAP’s experts were world renowned in their respective fields. Several of TAP’s witnesses hold endowed chairs at prestigious universities, some are MacArthur Fellows, all have published numerous scientific papers in respected journals. Indeed, one witness, Dr. Ronald Sass, is a shared recipient of the 2007 Nobel Peace Prize for his environmental work. TAP’s crane experts… have years of study in the field and have devoted their time and energies to the survival of the AWB species. All of TAP’s experts were accepted as such and the Court finds their testimonies compelling and credible. [A key defense report] used a report by Dr. Slack’s graduate student Danielle Greer whose conclusions to the preferred food of whooping cranes was (sic) based on 90 plus hours of video of three crane areas. The Court watched all of the videos and finds that they were either too blurred to see anything or non-demonstrative of any habit, feeding or otherwise. So what does this all suggest? If I’m reading correctly, it shows that when plaintiffs have extraordinarily good monitoring data, an all-star team of experts, poorly prepared experts on the other side, and a judicial chambers where someone—perhaps the judge, more likely a clerk—cares so deeply that she is willing to watch 90 hours of blurry footage of whooping cranes, they can win an ESA section 9 case against upstream water managers. Absent those circumstances, the challenge might be a bit harder. That doesn’t mean there won’t be other cases like this. Conflicts between water withdrawals and the needs of endangered fish and wildlife probably aren’t going away any time soon. But the case does illustrate the level of scientific and legal work necessary for plaintiffs to prevail. This entry was posted on Friday, April 5th, 2013 at 4:05 pm	and is filed under Aransas NWR Updates, Association News, Endangered Species, Flock Status, Headline, Non WCCA Articles. You can follow any responses to this entry through the RSS 2.0 feed. Both comments and pings are currently closed.